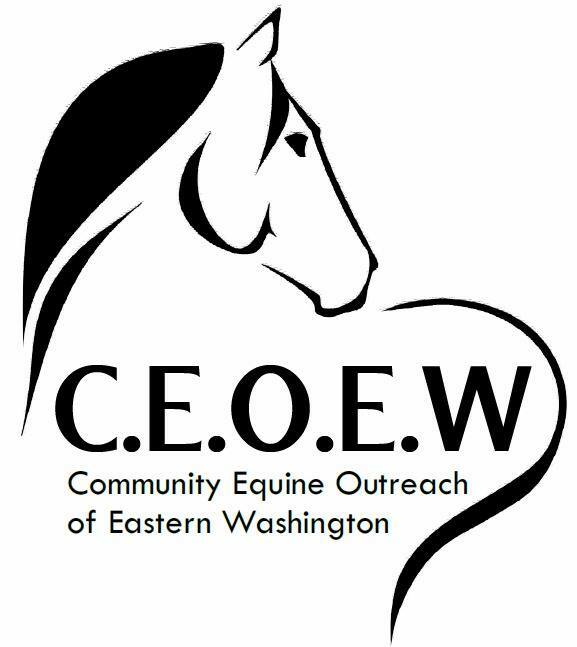 CEOEW is a 501c3 non profit organization dedicated to outreach, low cost gelding options, euthanasia assistance and rescue/rehabilitation in our community. 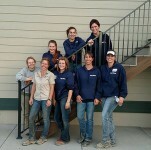 We are passionate about our gelding clinics. 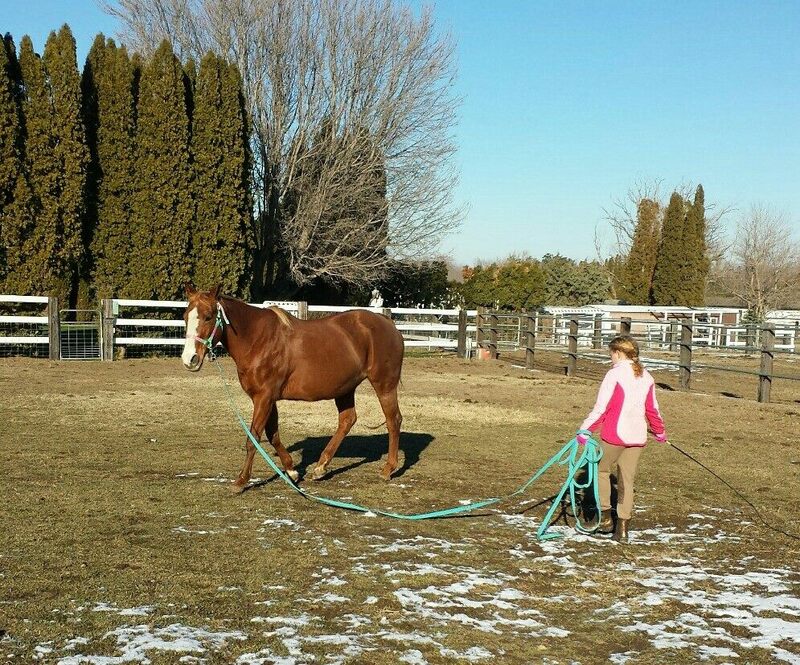 Gelding is one of the best steps you can take in preventing unwanted horses. 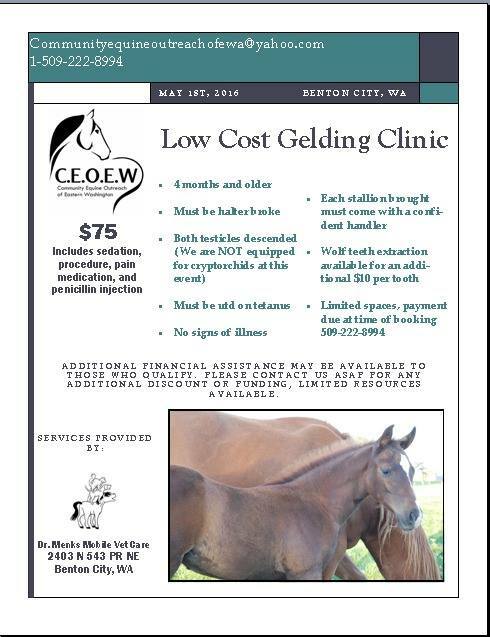 With the epidemic of unwanted horses at it’s peak, gelding is the sure way to take your part. Adoptable…Look at this beautiful face. Teddy Bear is loving the sunshine. Everybody should have a chance to kiss his fuzzy nose because he just makes hearts happy. Due to prior neglect issues he is available for adoption to a pet or companion home only. An update of Miss Daisy Mae today. She is flourishing in her new home, is well loved by her new family, especially her sweet human child. This why we do what we do. We are always looking for people to join our team. We need volunteers to help manage the website, apply for grants, building and facility repairs, training, transport, the list is endless. Even if you don’t have horse knowledge, we are happy to place you in a desk position or show you the ropes with horses. You get to help determine your spot and specialty. 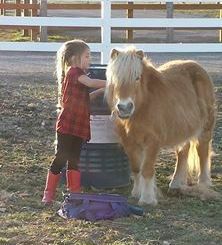 Community Equine Outreach (C.E.O.) of Eastern Washington is a collaborated effort of rescuers and horse enthusiasts. We’ve individually rescued horses on our own for several years, as well as fostering and transporting for other rescues in Oregon and Washington, but have come together as an organization to extend our abilities. Our primary work is in the communities of Kennewick, Pasco, Benton City, Richland, Yakima, and surrounding areas in Washington State. We at CEOEW welcome new members, join us today and help promote your interest. See our website and Facebook pages for updates on current events and additional information about CEOEW! We are focused in the cities of Kennewick, Pasco, Benton City, Yakima, Richland and surrounding areas in Washington State.